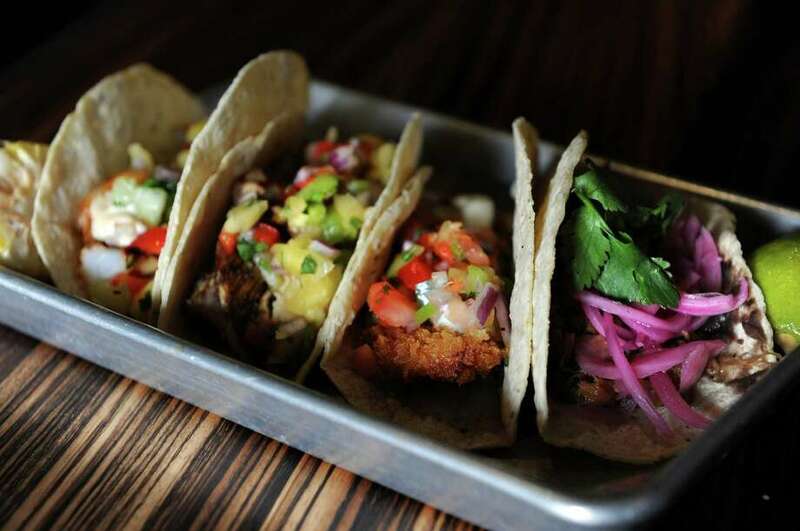 A variety of tacos at bodega taco bar located at 1700 Post Road in the Heritage Square shopping center in Fairfield, Conn. A second location is planned for 980 Post Road, Darien. When Ole Mole in Darien closed, the town lost its only Mexican eatery -- and even that was short lived. But the town is poised to see the second location of the popular Bodega Taco Bar land on the Post Road. popular Valencia Luncheria in Norwalk. But they didn't stop there: Bodega is coming to 980 Post Road in Darien this fall. "We think Darien has some similar characteristics as Fairfield, so we were excited. It's going to be a great place," said Fontana, who first worked with Young and Chavez with Ocean Drive and Habana in South Norwalk. "The restaurant in Fairfield is a booming success. Bodega serves modern Mexican and we stray to South and Central America, so it's a much more varied menu and is much more creative than what a traditional Mexican restaurant would be. It brings the experience to a whole new level," he added. David Genovese of Baywater Properties, the building's owner, felt the fit was right too. "We've been trying to find the right restaurant for that space. We didn't want to lease to any old restaurant, we wanted something that would complement the area," Genovese said after explaining that he had been approached with more than one proposal for an Italian restaurant. It's also a win for fans of sidewalk dining, as Bodega will become only the second restaurant -- after Scena -- to have waited tables on the Post Road in Darien. The idea received an excited approval by the Board of Selectmen when Genovese presented at its meeting Monday night. His presentation included a plan that would give inside diners a feel for the outdoors. "We're taking the store front windows off the building and putting in a retractable window so that the whole store front will be open to the Post Road. That's why the outdoor dining on Post Road is so important, because we really want to create a sense of activity with the street," Genovese said. "It drastically improves the curb appeal of a restaurant and is something customers really love," said Fontana. The space became available with the exit of Cafe d'Azur and Genovese, who had been talking on-and-off with Fontana for a few years, made the deal with the trio. "When Mario and Michael and Luis got Bodega going, we thought this would be a nice addition to the town," said Genovese. "It's an exciting change. Bodega in Fairfield has been a very successful restaurant. It's going to be transformative." Staff writer Thomas Michael contributed to this report.